Size Choose an option3.25 in.3.0 in.2.75 in.2.5 in.2.25 in.2.0 in.1.75 in.1.50 in. 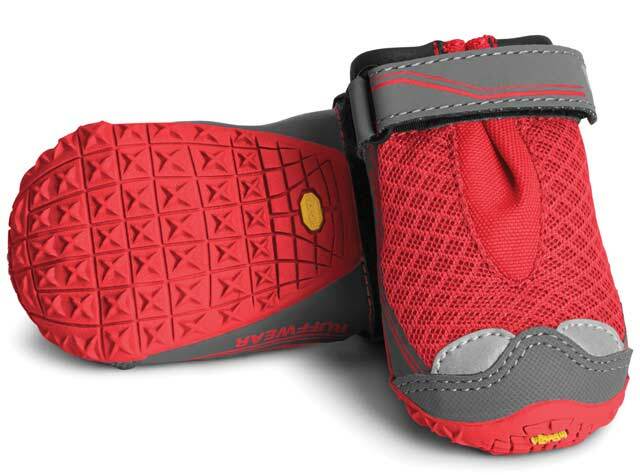 For active Tripawds needing extra traction in rain, snow or on the trail. Grip Trex boots feature an upper inspired by human shoes, and a high performance Vibram sole. Purchase includes coupon for $5 Off Tripawds E-books! Go anywhere with Grip Trex, and get back to outdoorsy fun! 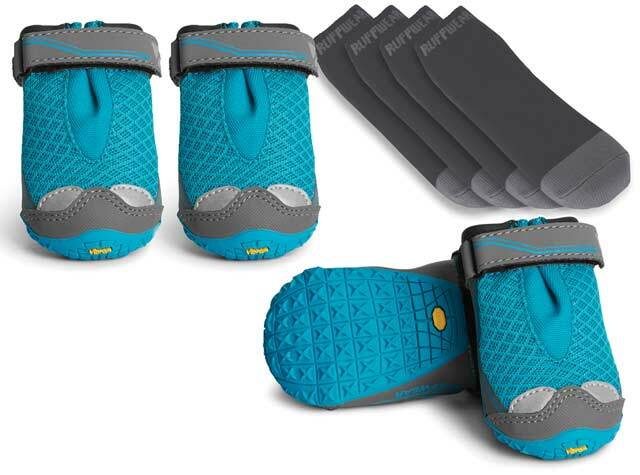 Grip Trex dog boots protect your Tripawd’s remaining feet from abrasion, hot pavement, snow and ice, or salty roads in winter conditions. They also help provide traction on hardwood floors and other slippery surfaces. These high-performance hiking boots feature a rugged and resilient Vibram outer sole that provides exceptional traction on varied terrain. Breathable mesh upper provides ventilation and keeps dirt and debris out. Closure system combines hook-and-loop with hardware, cinching around the narrowest part of the dog’s leg to provide a secure fit. 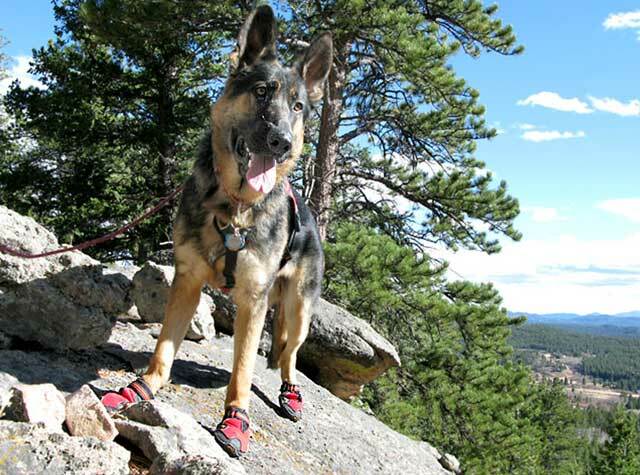 These boots are designed by Ruffwear with rugged quality and high-traction soles. As long as you fit them properly for your dog, they will stay on without a problem. Add boot liners for greatest comfort! 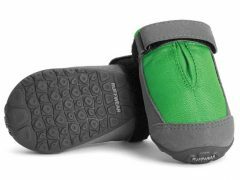 Ruffwear Boot Liners will enhance the fit, upgrade the performance, and improve the comfort of our dog boots. 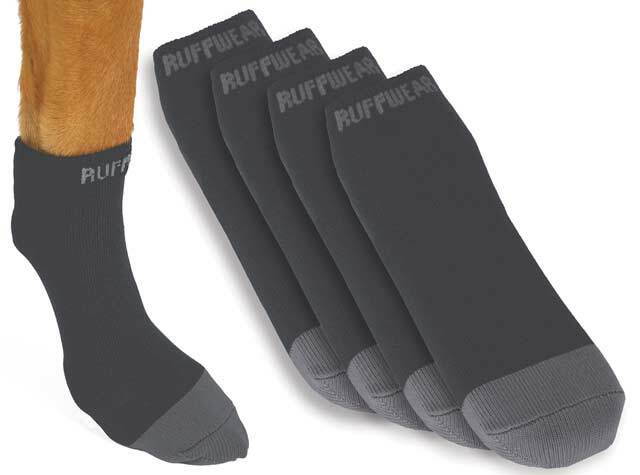 These socks also makes putting on Ruffwear boots much easier! Ideal if your dog has a dew claw. 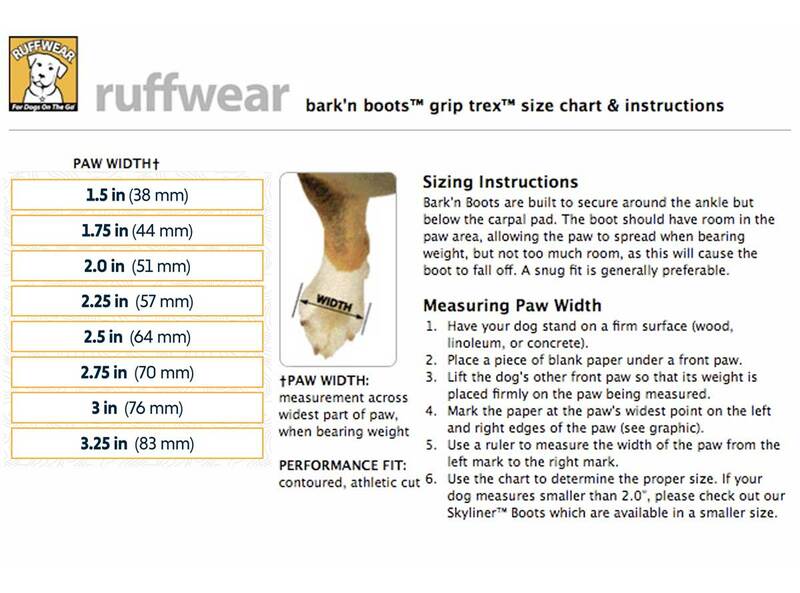 Be sure to review the Ruffwear dog boot sizing video below and download the paw measurement chart to measure carefully before you order. 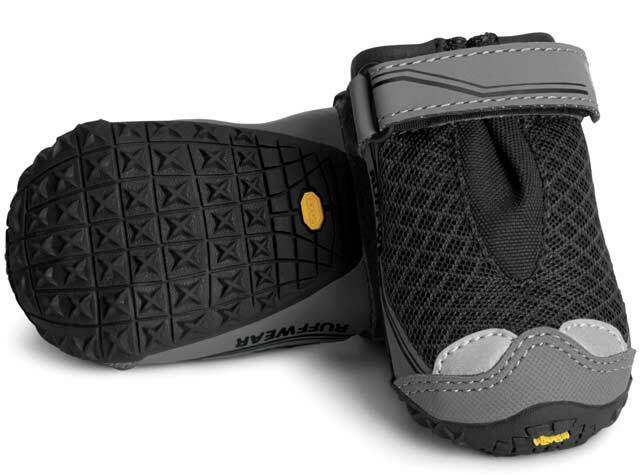 Usage: Grip Trex boots are intended for hiking and trail use. 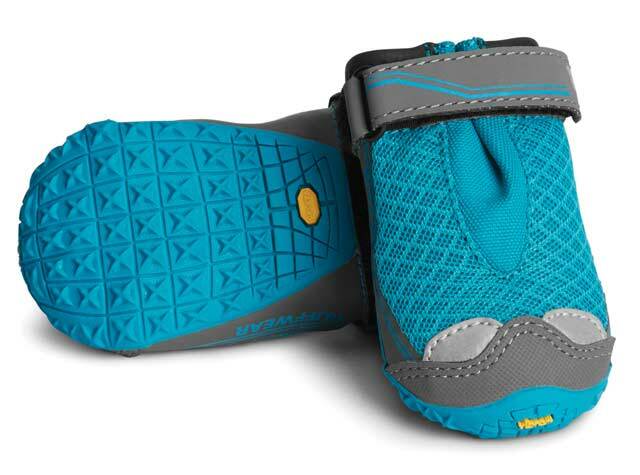 Cant decide between Grip Trex and Summit Trex dog boots? 3.25 in., 3.0 in., 2.75 in., 2.5 in., 2.25 in., 2.0 in., 1.75 in., 1.50 in. Boots Only, Add Liners for comfort! 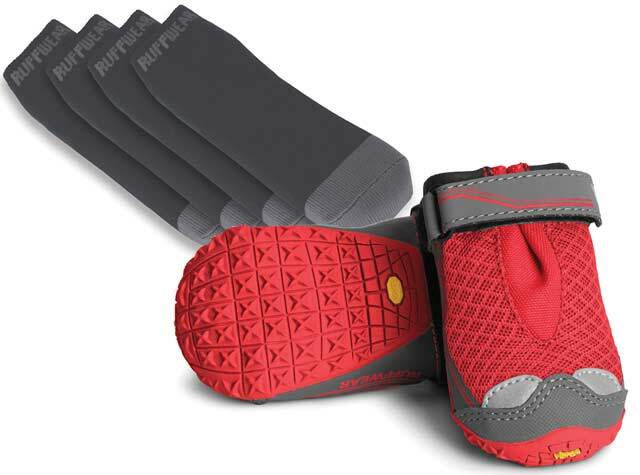 Be the first to review “Ruffwear Grip Trex Dog Boots” Click here to cancel reply.